The United States has consistently lost manufacturing jobs since reaching a peak in the late 1970s. Job levels have not recovered from the losses during each recession since the 1990s (Figure 1). Losses accelerated after the 2001 recession and again when China entered the World Trade Organization, opening itself up for trade and commerce with the rest of the world. 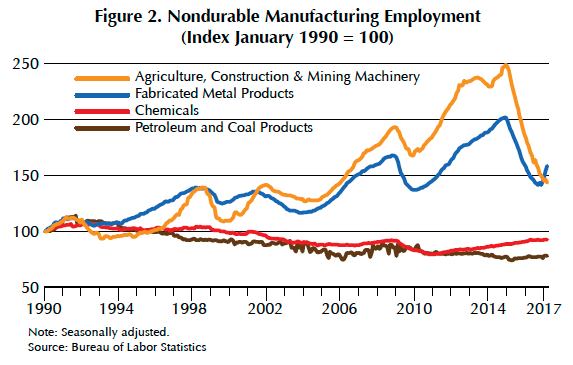 Texas manufacturing employment followed this same track, although it did recover from the 1990–91 recession. The 2001 recession caused jobs to fall below the previous peak, and they did not recover after this recession (Figure 1). The same trend can be observed in most regions in Texas, including Austin, Dallas-Fort Worth, and San Antonio, which lost jobs. But not all manufacturing situations are the same. Houston manufacturing jobs currently exceed their 1990s levels. They recovered and expanded after each recession. These contrary moves make Houston as rare as a male white rhinoceros (Figure 1). 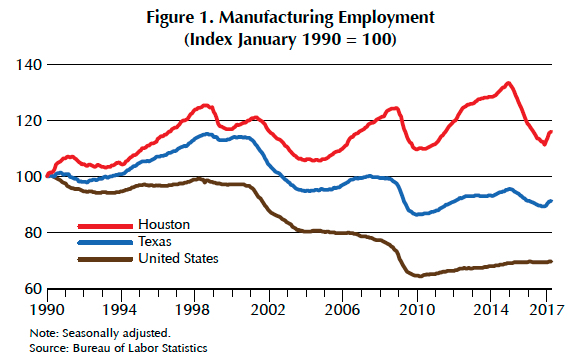 So why is Houston's manufacturing employment history different? 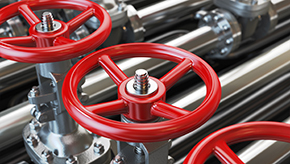 The answer is because it supplies the oil and gas industry with machinery and equipment (Figure 2). The cluster of upstream and downstream energy firms creates a manufacturing base to supply the full spectrum of the energy industry. Moreover, proximity makes it difficult for foreign imports to compete against local manufacturers. 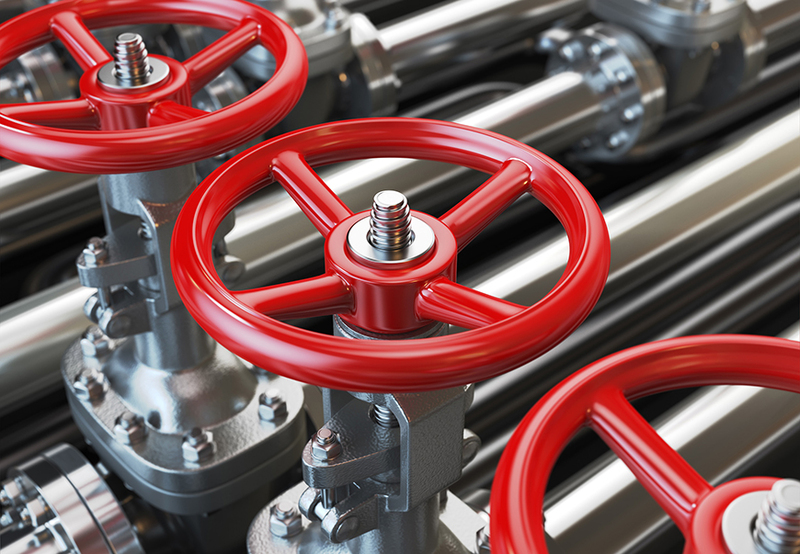 Fracking played an essential role in boosting Houston manufacturing jobs. At the beginning of 2014, before the fall in oil prices, jobs were more plentiful than before the Great Recession. Currently, jobs have surpassed 1990 levels, which cannot be said for the U.S. or Texas as a whole. The question now is will Houston manufacturing employment fully rebound after the 2014 oil bust? This will depend on oil prices, of course. And manufacturers will need to go forward with new technologies that require fewer workers but allow more machinery and other products to be manufactured. Dr. Torres (ltorres@mays.tamu.edu) is a research economist with the Real Estate Center at Texas A&M University.